Around 50 people have been injured and property estimated to amount to Rs 35 lakh has been destroyed in the towns of Uttara Kannada. 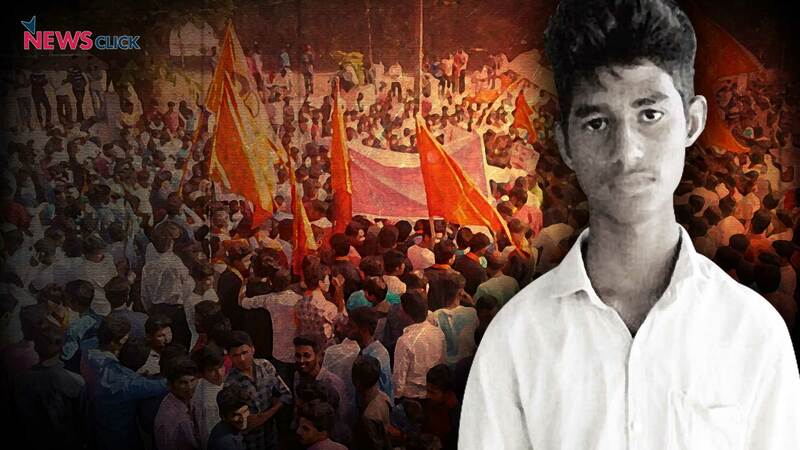 The tragic death of Paresh Mesta, 18, has sparked communal violence in parts of Karnataka’s Uttara Kannada District in the second week of December. Mesta went missing on December 6 after an alleged communal clash. His dead body was found floating in Shettykere Lake in Honnavar town on December 8. It has been reported that the Karnataka Government has transferred the case to Central Bureau of Investigation (CBI) on Mesta’s parent’s request. Mesta discontinued his studies and helped his father in selling fish for their family’s income. Pictures of Mesta’s dead body with a blackened face were widely circulated in social media groups with claims that he was tortured, brutalized, and murdered by jihadis. This has resulted in communal tensions. The postmortem report declared all the claims of torture to be false. With the increase in violence, Karnataka Police had to circulate a letter to media from Doctor Shankar M Bakkannavar, associate professor at the Department of Forensic Medicine, Kasturba Medical College, Manipal, who ruled out any brutalization on Mesta’s body based on the forensic report. Referring to the autopsy report, Bakkannavar detailed that the change in colour of the deceased's body was due to putrefaction, and not because of attack with acid or hot oil as rumours had alleged. Honnavar town police had arrested Timappa Parameshwar Nayak, a school teacher, reportedly for spreading rumours on Whatsapp regarding the death of Paresh and the condition of the body. However, Bharatiya Janata Party (BJP) leaders and Hindutva outfits have been the forerunners in spreading the rumours resulting in widespread incidences of violence across the district. Amidst polarized environment, BJP MP Shobha Karandlaje alleged that Popular Front of India was behind Mesta's death, despite the preliminary autopsy report, and demanded an NIA probe into the case. Sharan Pumpwell, one of the convenors of Bajrang Dal, said that he is ready to go to war against Islamic jihadists to protect Hindu dharma, while the incidences of riots were occurring. So far, reportedly, about 50 persons have been injured in the towns of Uttara Kannada and property estimated to amount to Rs 35 lakh has been destroyed. Incidents of stone pelting on the houses belonging to Muslim communities, firing on random vehicles, rallies comprising of hate slogans were reported. Commentators and Karnataka’s Congress government has been accusing BJP leaders of resorting to religious polarization based on false rumours. Adding to the prevailing sensitive conditions, Anant Kumar Hegde, Union Minister of Skill Development and Entrepreneurship and an MP from Uttara Kannada has called for “jail bharo” protests from December 19, perhaps to pressurize the state’s Congress government to release the persons arrested during recent riots. However, such calls would only further hate in the already sensitized district. The irony was that, the former Deputy Chief Minister of Karnataka, K S Eshwarappa had reportedly advised the BJP workers to lie to voters for gaining political support. A video of his speech on December 4 went viral in which the BJP leader was found saying “tell them lies or something”. While the BJP leaders have been continuously framing Mesta to be a BJP activist, Mesta's father, Kamalakar Mesta has denied the claims and has said that his son was not part of the party. “My son was neither with neither the BJP nor any other saffron outfit”, he was quoted as saying by Deccan Chronicle. With an increase in hatred against minorities across the country, the BJP’s politics around Mesta’s death have become a matter of concern.